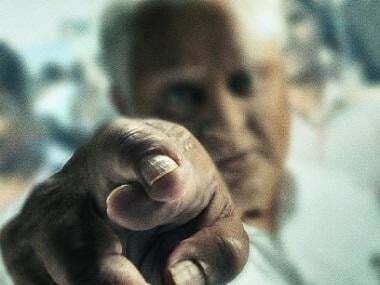 Actor Yash's KGF Chapter 1 was groundbreaking for the Kannada film industry. Following its widespread success, a sequel was soon announced. Directed by Prashanth Neel, KGF: Chapter 2, went on floors on 13 March in Bengaluru, according to a press release. News agency Indo Asian News Service reports that a ceremony was held to mark the launch of the sequel attended by Yash, Prashanth, Srinidhi Shetty and producer Vijay Kiragandur. The magnum opus had the widest release for a Kannada film. It was released in Hindi, Kannada, Telugu, Tamil and Malayalam simultaneously. The film traced the rags to riches journey of Rocky (Yash) and his quest for power in the Kolar Gold Fields of Karnataka. It collected over Rs 200 crore, despite facing the clash with Shah Rukh Khan-starrer Bollywood film Zero. In a recent interview with IANS, Yash had said that the upcoming sequel would be "bigger" and "better". "When we made KGF: Chapter 1, we had our own inhibitions and restricted ourselves in some way. But with this kind of success in our side, we are going all out to make the second part. We now know people are keenly looking forward to the second part and we can deliver it without any reservations. We have reserved the best for chapter 2," he had revealed. KGF: Chapter 1 also marked Ritesh Sidhwani and Farhan Akhtar's Excel Entertainment's first Kannada venture and the production house will be associated with the sequel as well.